Hearing loss can occur as a result of many health conditions. Many health conditions are associated with an increased risk of hearing loss, however, below are some of the more common health conditions. If you have any of these risk factors and associated health conditions, you should have your hearing tested if you have not done so already. Diabetes – hearing loss is twice as common in people with diabetes. Smoking Tobacco Use – increases risk of hearing loss by 70%. If you sometimes say or think any of the following, you need to have your hearing tested. If you have not had your hearing tested by the time you are middle-aged, you should obtain a baseline hearing test at that point. 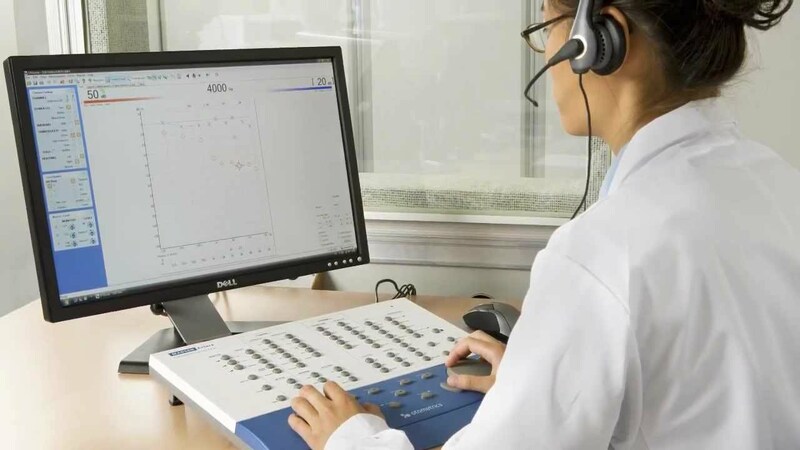 If you experience a change in hearing in the future, a baseline hearing test can help answer many of your questions and can help in management of your hearing. Hearing loss is typically a very gradual process. Many people are unaware they have developed hearing loss until it has significantly impacted their day to day life. Hearing loss treatment or management is more successful earlier on in the hearing loss process. The majority, 60%, of people who have hearing loss are below the age of 65 and are in the works force or in educational settings. Hearing loss does become more prevalent as we get older thought. At age 65, 1 out of 3 people has hearing loss. If you have not had your hearing tested by the time you are 65, schedule an appointment with an audiologist for a hearing test. What to know about a hearing test before scheduling one? Learn more about the process here on our website. We encourage people to take an active role in their hearing healthcare and have their hearing tested!